Managers and investors alike must understand that accounting numbers is the beginning, not the end, of business valuation. The stock market is a no-called-strike game. You don't have to swing at everything — you can wait for your pitch. Love is the greatest advantage a parent can give. Bridge is about weighing gain/loss ratios. You're doing calculations all the time. I don't have a problem with guilt about money. … There's nothing material I want very much. The free market’s the best mechanism ever devised to put resources to their most efficient and productive use. … The government isn’t particularly good at that. But the market isn’t so good at making sure that the wealth that’s produced is being distributed fairly or wisely. I happen to have a talent for allocating capital. But my ability to use that talent is completely dependent on the society I was born into. If I’d been born into a tribe of hunters, this talent of mine would be pretty worthless. I was lucky enough to be born in a time and place where society values my talent, and gave me a good education to develop that talent, and set up the laws and the financial system to let me do what I love doing — and make a lot of money doing it. The least I can do is help pay for all that. People will always try to stop you doing the right thing if it is unconventional. You do whatever the probabilities indicated based on the knowledge that you have at that time, but you are always willing to modify your behaviour or your approach as you get new information. The asset I most value, aside from health, is interesting, diverse, and long-standing friends. I call investing the greatest business in the world … because you never have to swing. You stand at the plate, the pitcher throws you General Motors at 47! U.S. Steel at 39! and nobody calls a strike on you. There's no penalty except opportunity lost. All day you wait for the pitch you like; then when the fielders are asleep, you step up and hit it. Variant: The stock market is a no-called-strike game. You don't have to swing at everything — you can wait for your pitch. The problem when you're a money manager is that your fans keep yelling, "Swing, you bum!" You're dealing with a lot of silly people in the marketplace; it's like a great big casino and everyone else is boozing. If you can stick with Pepsi, you should be O.K. On being dispassionate and patient in investments, in an interview in Forbes magazine (1 November 1974); he is contrasting soft-drinks to intoxicating beverages in this example; Buffet eventually became a major investor in Coca-Cola. Draw a circle around the businesses you understand and then eliminate those that fail to qualify on the basis of value, good management and limited exposure to hard times. … Buy into a company because you want to own it, not because you want the stock to go up. … People have been successful investors because they've stuck with successful companies. Sooner or later the market mirrors the business. I'll tell you why I like the cigarette business. … It costs a penny to make. Sell it for a dollar. It's addictive. And there's fantastic brand loyalty. I like thinking big. I always have. To me it’s very simple: if you’re going to be thinking anyway, you might as well think big. It’s a game of a million inferences. There are a lot of things to draw inferences from — cards played and not played. These inferences tell you something about the probabilities. It's got to be the best intellectual exercise out there. You're seeing through new situations every ten minutes. Bridge is about weighing gain/loss ratios. You're doing calculations all the time. If I was running $1 million today, or $10 million for that matter, I'd be fully invested. Anyone who says that size does not hurt investment performance is selling. The highest rates of return I've ever achieved were in the 1950s. I killed the Dow. You ought to see the numbers. But I was investing peanuts then. It's a huge structural advantage not to have a lot of money. I think I could make you 50% a year on $1 million. No, I know I could. I guarantee that. We're more comfortable in that kind of business. It means we miss a lot of very big winners. But we wouldn't know how to pick them out anyway. It also means we have very few big losers - and that's quite helpful over time. We're perfectly willing to trade away a big payoff for a certain payoff. I wouldn't mind going to jail if I had three cellmates who played bridge. … The approach and strategies [of bridge and stock investing] are very similar. In the stock market you do not base your decisions on what the market is doing, but on what you think is rational. With bridge, you need to adhere to a disciplined bidding system. While there is no one best system, there is one that works best for you. Once you choose a system, you need to stick with it. You couldn't advance in a finance department in this country unless you taught that the world was flat. It's class warfare. My class is winning, but they shouldn't be. The 400 of us pay a lower part of our income in taxes than our receptionists do, or our cleaning ladies, for that matter. If you're in the luckiest 1 percent of humanity, you owe it to the rest of humanity to think about the other 99 percent. You know, if I'm playing bridge and a naked woman walks by, I don't ever see her — don't test me on that! … You know, I wouldn't mind going to jail if I had the right three cell mates, so we could play bridge all the time. … It takes some investment to play it … I mean, you cannot sit down and learn how to play it like most games. … There's a lotta lessons in it … you have to look at all the facts. You have to draw inferences from what you've seen, what you've heard. You have to discard improper theories about what the hand had as more evidence comes in sometimes. You have to be open to a possible change of course if you get new information. You have to work with a partner, particularly on defense. You want to be greedy when others are fearful. You want to be fearful when others are greedy. It's that simple. … They're pretty fearful. In fact, in my adult lifetime, I don't think I've ever seen people as fearful economically as they are right now. My wealth has come from a combination of living in America, some lucky genes, and compound interest. Both my children and I won what I call the ovarian lottery. (For starters, the odds against my 1930 birth taking place in the U.S. were at least 30 to 1. My being male and white also removed huge obstacles that a majority of Americans then faced.) My luck was accentuated by my living in a market system that sometimes produces distorted results, though overall it serves our country well. I’ve worked in an economy that rewards someone who saves the lives of others on a battlefield with a medal, rewards a great teacher with thank-you notes from parents, but rewards those who can detect the mispricing of securities with sums reaching into the billions. In short, fate’s distribution of long straws is wildly capricious. I could end the deficit in five minutes. You just pass a law that says that any time there's a deficit of more than 3% of GDP, all sitting members of Congress are ineligible for re-election. The approach and strategies are very similar in that you gather all the information you can and then keep adding to that base of information as things develop. You do whatever the probabilities indicated based on the knowledge that you have at that time, but you are always willing to modify your behaviour or your approach as you get new information. In bridge, you behave in a way that gets the best from your partner. And in business, you behave in the way that gets the best from your managers and your employees. I make no attempt to forecast the general market — my efforts are devoted to finding undervalued securities. We never want to count on the kindness of strangers in order to meet tomorrow’s obligations. Our performance, relatively, is likely to be better in a bear market than in a bull market … in a year when the general market had a substantial advance, I would be well satisfied to match the advance of the averages. I make no attempt to forecast the general market — my efforts are devoted to finding undervalued securities. However, I do believe that widespread public belief in the Inevitability of profits from investments in stocks will lead to eventual trouble. Should this occur, prices, but not intrinsic values in my opinion, of even undervalued securities can be expected to be substantially affected. Management's objective is to achieve a return on capital over the long term which averages somewhat higher than that of American industry generally — while utilizing sound accounting and debt policies. An irresistible footnote: in 1971, pension fund managers invested a record 122% of net funds available in equities — at full prices they couldn't buy enough of them. In 1974, after the bottom had fallen out, they committed a then record low of 21% to stocks. The primary test of managerial economic performance is the achievement of a high earnings rate on equity capital employed (without undue leverage, accounting gimmickry, etc.) and not the achievement of consistent gains in earnings per share. In our view, many businesses would be better understood by their shareholder owners, as well as by the general public, if managements and financial analysts modified the primary emphasis they place upon earnings per share, and upon yearly changes in that figure. We have tried occasionally to buy toads at bargain prices with results that have been chronicled in past reports. Clearly our kisses fell flat. We have done well with a couple of princes — but they were princes when purchased. At least our kisses didn’t turn them into toads. And, finally, we have occasionally been quite successful in purchasing fractional interests in easily-identifiable princes at toad-like prices. It’s simply to say that managers and investors alike must understand that accounting numbers is the beginning, not the end, of business valuation. When returns on capital are ordinary, an earn-more-by-putting-up-more record is no great managerial achievement. You can get the same result personally while operating from your rocking chair. Just quadruple the capital you commit to a savings account and you will quadruple your earnings. You would hardly expect hosannas for that particular accomplishment. Yet, retirement announcements regularly sing the praises of CEOs who have, say, quadrupled earnings of their widget company during their reign — with no one examining whether this gain was attributable simply to many years of retained earnings and the workings of compound interest. Ben's Mr. Market allegory may seem out-of-date in today's investment world, in which most professionals and academicians talk of efficient markets, dynamic hedging and betas. Their interest in such matters is understandable, since techniques shrouded in mystery clearly have value to the purveyor of investment advice. After all, what witch doctor has ever achieved fame and fortune by simply advising "Take two aspirins"? The most common cause of low prices is pessimism — some times pervasive, some times specific to a company or industry. We want to do business in such an environment, not because we like pessimism but because we like the prices it produces. It's optimism that is the enemy of the rational buyer. The strategy we've adopted precludes our following standard diversification dogma. Many pundits would therefore say the strategy must be riskier than that employed by more conventional investors. We disagree. We believe that a policy of portfolio concentration may well decrease risk if it raises, as it should, both the intensity with which an investor thinks about a business and the comfort-level he must feel with its economic characteristics before buying into it. In stating this opinion, we define risk, using dictionary terms, as "the possibility of loss or injury." 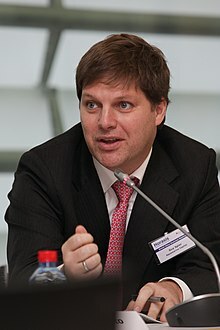 The sad fact is that most major acquisitions display an egregious imbalance: They are a bonanza for the shareholders of the acquiree; they increase the income and status of the acquirer's management; and they are a honey pot for the investment bankers and other professionals on both sides. But, alas, they usually reduce the wealth of the acquirer's shareholders, often to a substantial extent. That happens because the acquirer typically gives up more intrinsic value than it receives. Do that enough, says John Medlin, the retired head of Wachovia Corp., and "you are running a chain letter in reverse." ... The acquisition problem is often compounded by a biological bias: Many CEOs attain their position in part because they possess an abundance of animal spirits and ego. Of course, Charlie and I can identify only a few Inevitables, even after a lifetime of looking for them. Leadership alone provides no certainties: Witness the shocks some years back at General Motors, IBM and Sears, all of which had enjoyed long periods of seeming invincibility. Though some industries or lines of business exhibit characteristics that endow leaders with virtually insurmountable advantages, and that tend to establish Survival of the Fattest as almost a natural law, most do not. Thus, for every Inevitable, there are dozens of Impostors, companies now riding high but vulnerable to competitive attacks. But now for the final exam: If you expect to be a net saver during the next five years, should you hope for a higher or lower stock market during that period? Many investors get this one wrong. Even though they are going to be net buyers of stocks for many years to come, they are elated when stock prices rise and depressed when they fall. In effect, they rejoice because prices have risen for the "hamburgers" they will soon be buying. This reaction makes no sense. Only those who will be sellers of equities in the near future should be happy at seeing stocks rise. Prospective purchasers should much prefer sinking prices. Those who attended [the annual meeting] last year saw your Chairman pitch to Ernie Banks. This encounter proved to be the titanic duel that the sports world had long awaited. After the first few pitches — which were not my best, but when have I ever thrown my best? — I fired a brushback at Ernie just to let him know who was in command. Ernie charged the mound, and I charged the plate. But a clash was avoided because we became exhausted before reaching each other. The line separating investment and speculation, which is never bright and clear, becomes blurred still further when most market participants have recently enjoyed triumphs. Nothing sedates rationality like large doses of effortless money. After a heady experience of that kind, normally sensible people drift into behavior akin to that of Cinderella at the ball. They know that overstaying the festivities—that is, continuing to speculate in companies that have gigantic valuations relative to the cash they are likely to generate in the future—will eventually bring on pumpkins and mice. But they nevertheless hate to miss a single minute of what is one helluva party. Therefore, the giddy participants all plan to leave just seconds before midnight. There's a problem, though: They are dancing in a room in which the clocks have no hands. Instead, we try to apply Aesop's 2,600-year-old equation to opportunities in which we have reasonable confidence as to how many birds are in the bush and when they will emerge (a formulation that my grandsons would probably update to "A girl in a convertible is worth five in the phonebook."). But a pin lies in wait for every bubble. And when the two eventually meet, a new wave of investors learns some very old lessons: First, many in Wall Street — a community in which quality control is not prized — will sell investors anything they will buy. Second, speculation is most dangerous when it looks easiest. Most companies are saddled with institutional constraints. 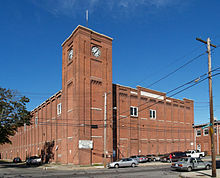 A company's history, for example, may commit it to an industry that now offers limited opportunity. A more common problem is a shareholder constituency that pressures its manager to dance to Wall Street's tune. Many CEOs resist, but others give in and adopt operating and capital-allocation policies far different from those they would choose if left to themselves. Size seems to make many organizations slow-thinking, resistant to change and smug. I've reluctantly discarded the notion of my continuing to manage the portfolio after my death — abandoning my hope to give new meaning to the term "thinking outside the box." Upon leaving [the derivatives business], our feelings about the business mirrored a line in a country song: "I liked you better before I got to know you so well." Take the job that you would take if you were independently wealthy. Look for integrity, intelligence and energy. There's a whole bunch of things I don't know a thing about — I just stay away from those. So, I stay within what I call my circle of competence. I just read and read and read. ... I have always enjoyed reading. Capitalism is all about somebody coming and trying to take the castle. Now what you need is .... you need a castle that has some durable competitive advantage — some castle that has a moat around it. I like to study failure, actually. My partner says, "I want to know where I'll die so I'll never go there." We want to see what has caused businesses to go bad. The biggest thing that kills them is complacency. ... The danger would always be that you rest on your laurels. Confidence comes back one at a time, but fear, is instantaneous. … the diminutive chains of habit, as somebody says, are scarcely ever heavy enough to be felt, till they are too strong to be broken. This maxim (perhaps of gambling or horse racing origin) is widely attributed to Warren Buffett and, as such, has traditionally been cited in print; notably, it was attributed (perhaps facetiously) to him by Mary Buffett in, The Tao of Warren Buffett. A more uncommon, less well known version, and perhaps one with a more lasting credibility (or certainly with a higher degree of checkability), would be: "The first rule is don't lose, and the second rule is never forget the first rule." This version was noted by Steve Forbes in a friendly meeting in Omaha, in an article published as: Jay-Z, Buffett and Forbes on Success and Giving Back. This article is available on the Forbes website, published on September 23, 2010. I would much rather see a Plan C that really attacks costs, and I think that's what the American public wants to see. Boy, if he doesn't give capitalism a good name, who does? 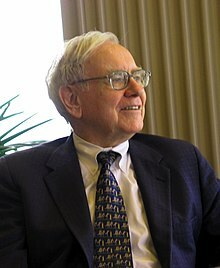 Buffett does not believe that it is wise to bequeath great wealth and plans to give most of his money to his charitable foundation. … Buffett is not cutting his children out of his fortune because they are wastrels or wantons or refuse to go into the family business — the traditional reasons rich parents withhold money. Says he: "My kids are going to carve out their own place in this world, and they know I'm for them whatever they want to do." But he believes that setting up his heirs with "a lifetime supply of food stamps just because they came out of the right womb" can be "harmful" for them and is "an antisocial act." To him the perfect amount to leave children is "enough money so that they would feel they could do anything, but not so much that they could do nothing." For a college graduate, Buffett reckons "a few hundred thousand dollars" sounds about right. Buffett believes the most important quality for an investor is temperament, not intellect. A successful investor doesn't focus on being with or against the crowd. The stock market will swing up and down. But in good times and bad, Buffett stays focused on his goals. Buffett had invited me to Omaha to discuss tax policy. More specifically, he wanted to know why Washington continued to cut taxes for people in his income bracket when the country was broke. … Buffett’s low rates were a consequence of the fact that, like most wealthy Americans, almost all his income came from dividends and capital gains, investment income that since 2003 has been taxed at only 15 percent. The receptionist’s salary, on the other hand, was taxed at almost twice that rate once FICA was included. From Buffett’s perspective, the discrepancy was unconscionable. 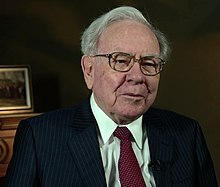 I asked Buffett how many of his fellow billionaires shared his views. He laughed. “I’ll tell you, not very many,” he said. “They have this idea that it’s ‘their money’ and they deserve to keep every penny of it. What they don’t factor in is all the public investment that lets us live the way we do." … It may be surprising to some to hear the world’s foremost capitalist talk in this way, but Buffett’s views aren’t necessarily a sign of a soft heart. Rather, they reflect an understanding that how well we respond to globalization won’t be just a matter of identifying the right policies. It will also have to do with a change in spirit, a willingness to put our common interests and the interests of future generations ahead of short-term expediency. The world's second-richest person called on Washington policymakers to adopt fundamental reforms on such costs to address what he called a "national emergency." He said health care eats up 17 percent of U.S. gross domestic product, at a time when many other countries pay only nine or 10 percent of GDP but have more doctors, nurses and hospital beds per capita. "It's like a tapeworm eating at our economic body," Buffett said on CNBC television. "If it was a choice today between Plan A, which is what we've got, or Plan B, which is the Senate bill, I would vote for the Senate bill," he said. "But I would much rather see a Plan C that really attacks costs, and I think that's what the American public wants to see." Rising costs, Buffett said, are holding back an economy that faced an "economic Pearl Harbor" in late 2008 when capital markets seized up.